The expansion of voluntary medical male circumcision (VMMC) in Rakai, Uganda, is substantially reducing the rate of new cases of HIV among men in the district, aidsmap reports. Researchers analyzed data on adults ages 15 to 49, excluding Muslim men, drawn from cross-sectional surveys conducted by the Rakai Community Cohort Study. They presented their findings at the 2015 Conference on Retroviruses and Opportunistic Infections (CROI) in Seattle. Research published in the mid-2000s found that VMMC lowers the risk of female-to-male transmission of HIV by about 50 to 60 percent. In the subsequent years, international agencies have undertaken a massive push to circumcise men throughout sub-Saharan Africa in order to fight HIV. A 2013 study found that the VMMC scale-up was succeeding in lowering HIV rates among men in Orange Farm, South Africa. The new analysis controlled for antiretroviral use among women, because it is an independent variable that may also affect the spread of HIV. Circumcision among non-Muslim men in Rakai increased from 9 percent prevalence in 2007 to 26 percent in 2011. 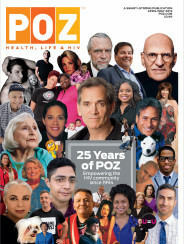 For each 10 percent increase in circumcision coverage, there was a 12 percent drop in the rate of new cases of HIV among the men. There was no evidence that VMMC had led to a drop in HIV incidence among women. The preliminary data for 2013 to 2014 shows that the rate of circumcision among non-Muslim men has jumped to 49 percent. To view a webcast of the conference presentation, click here. 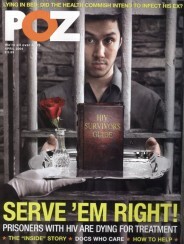 To read a POZ/AIDSmeds feature on VMMC, click here.